Home Chennai Ice cream on chicken? Aachi Kitchen With A Twist is clear about its target audience. a�?We want to attract youngsters with South Indian food presented in formats they enjoy,a�? smiles Gibson G Vedamani, the director and CEO of Aachi Kitchen, adding that with six branches planned over the next six months, the groups next target will be tier two and three cities. 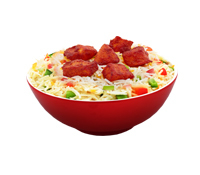 As we peruse the menu at their first outlet in Shanti Colony, we cana��t help but notice that the red interiors and offerings on the menu (fried chicken, burgers, rice bowls, etc) bear a very close resemblance to KFC. But mind you, the team at Aachi has done their share of research to ensure that every dish has a truly desi twist. Take the Krispy Chicken to start with. Golden brown and done to a crisp on the outside, it screams KFC until you bite in to discover the mild flavour of the Aachi Fried Chicken masala. Then comes the Soft Rice bowls a�� steamed basmati topped with Chicken 65 or paneer or their addictive mutton sukka that has us asking for take away! Burger fans can choose between fillets of Krispy Chicken or pan fried basa. Vegetarians have paneer nuggets, potato wedges and vegetarian burgers, wraps and sandwiches to choose from. Their craziest twist by far is their ice cream chicken sandwich that teases with layers of icy vanilla and a tangy chicken fillet between slices of bread. 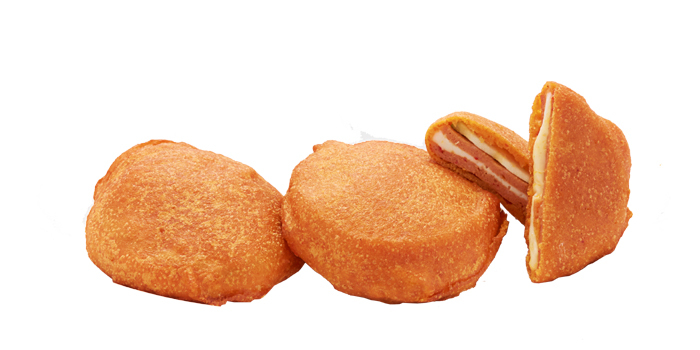 If youa��re game for more, try the Chicken Salami Cheese Bajji thata��s a replica of our beach speciality, save for the potato substituted with chicken salami and cheese. To wash all this down therea��s plenty of fizzy (or Aachi bottled water) drinks. But wea��ll save you the trouble and recommend the Goli Fizz made with nannari syrup a�� refreshing, cooling and their best twist yet!